This article assumes basic knowledge of writing C# and using Visual Studio - it doesn't assume any prior knowledge of Raspberry Pi or Linux. SanDisk 16GB Ultra SDHC Card, Class 10, "up to 30 MB/s 200X"
* It's important to have a sufficiently powerful supply. 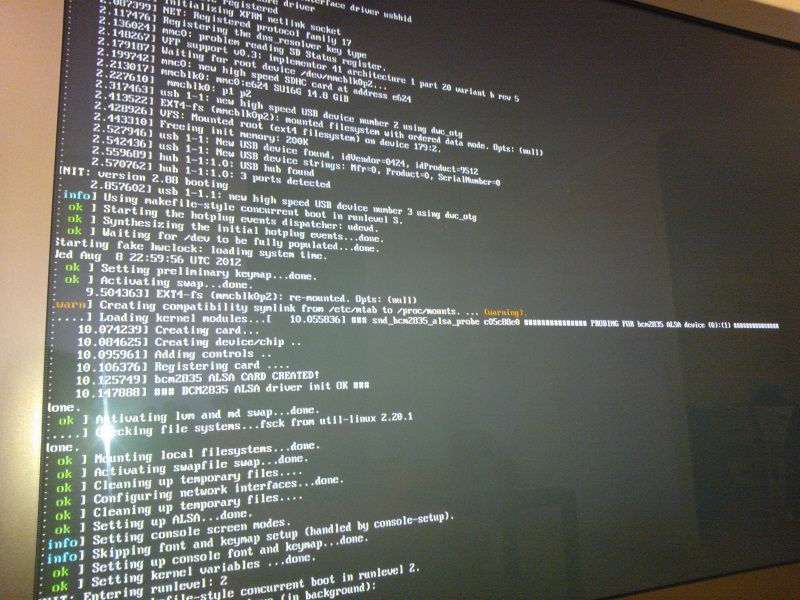 Download Soft-float Debian “wheezy” image from http://www.raspberrypi.org/downloads. Extract the .img from the zip file. Download Win32 Disk Imager http://www.softpedia.com/get/CD-DVD-Tools/Data-CD-DVD-Burning/Win32-Disk-Imager.shtml (make sure you get the correct link as there's lots of advertising and other download links on the page). Eject and remove your SD card. 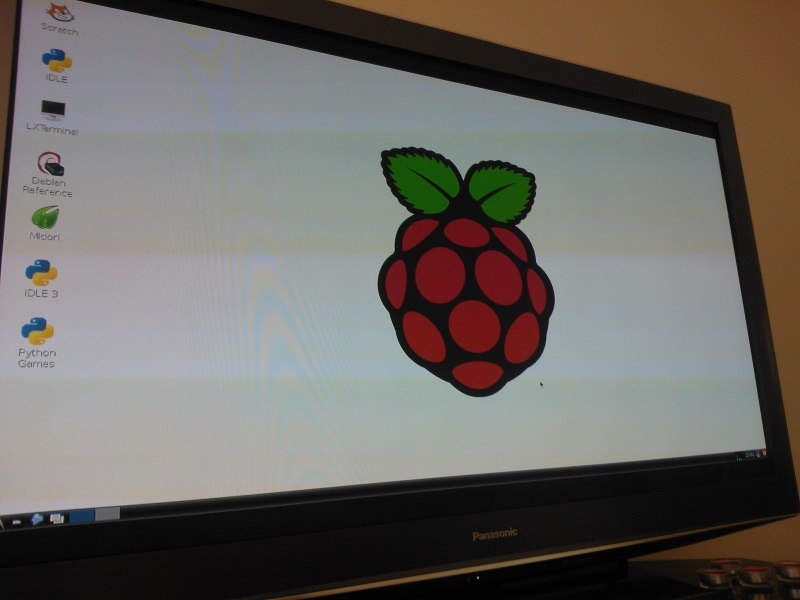 Once you have connected up your Pi, check your TV is set to the correct HDMI input and power it on by turning on your USB power supply. 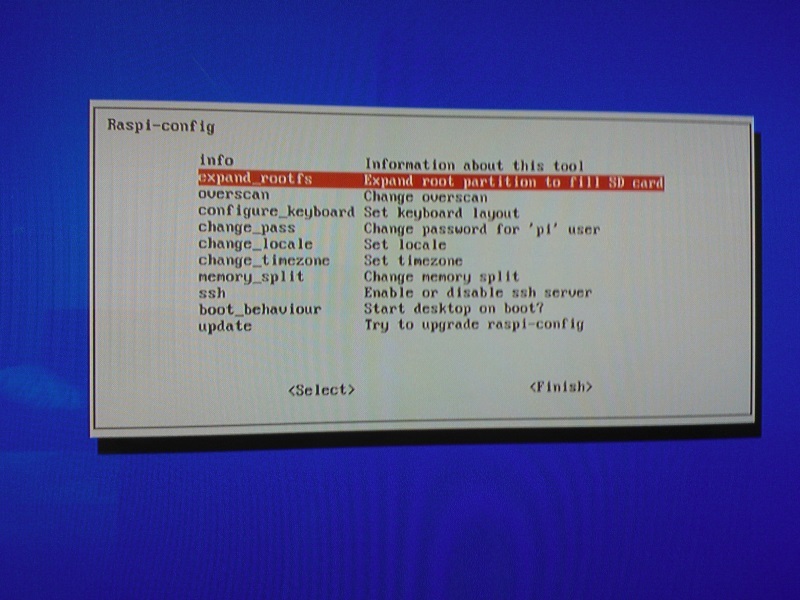 ...and then you'll get to the Raspi-config menu. Choose "expand_rootfs" from initial menu and restart. When restart is complete, you'll now be in a GUI. To test your network, double-click the Midori icon, this will load a web browser so you can test your internet/network connectivity. You'll need some Internet connectivity in the later steps. In Visual Studio, create a new Console project, choosing .NET 4 as the target framework. Hit F5 to run your console app to check it works. Mono is "an open source implementation of Microsoft's .NET Framework based on the ECMA standards for C# and the Common Language Runtime". 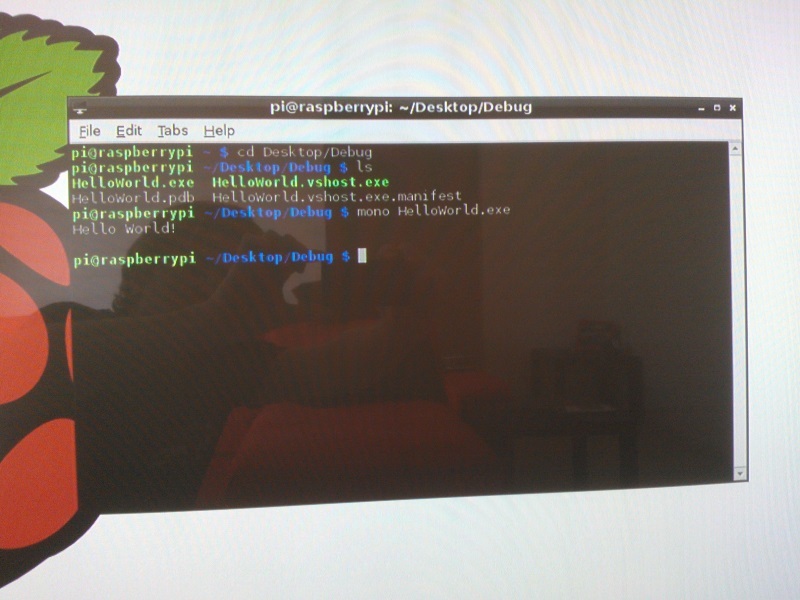 Installing on your Pi will allow you to run your HelloWorld console app. Once you've checked your Internet connectivity, you need to install the Mono runtime to enable you to run your .NET HelloWorld app. In the GUI, double-click the LXTerminal icon, this will bring up a console window. Type: sudo apt-get update and hit enter. When this command has completed and you're back at the pi@raspberry ~ $ prompt, type: sudo apt-get install mono-runtime and hit enter. When prompted, type y and hit enter. 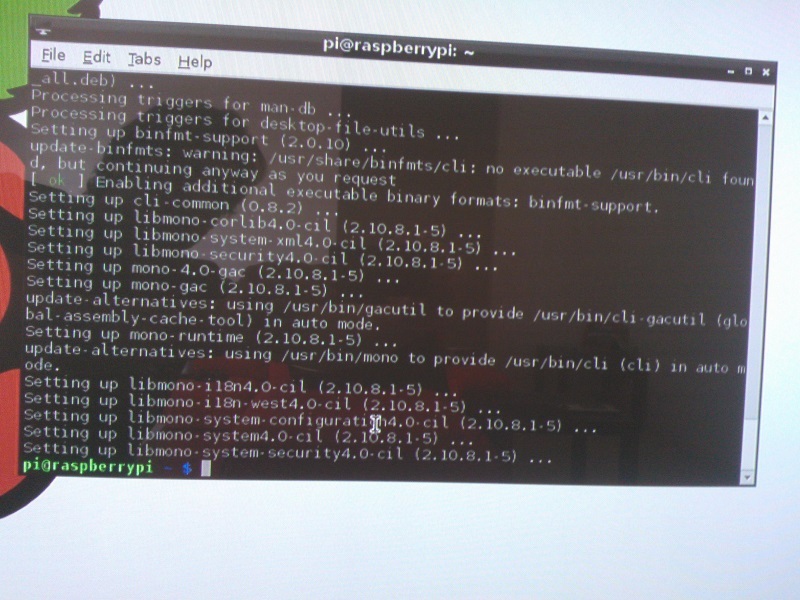 This will install the Mono runtime onto your Pi. Close the LXTerminal command window. On your PC, copy the Debug folder from your HelloWorld Visual Studio project folder to a USB memory stick. Eject the USB stick, remove from your PC. Wait a few seconds and a file browser window will pop up on your Pi. Copy the Debug folder from your USB stick and paste onto the desktop (e.g. using right-click menus). Remove the USB stick (and re-attach your keyboard if necessary). Double-click the LXTerminal icon on the Raspberry Pi Desktop, this will bring up a command prompt window. You need to change to the directory where you copied the HelloWorld.exe to. At the command prompt, type: cd Desktop/Debug (case sensitive) and hit enter. Type ls and hit enter, you should see HelloWorld.exe listed as well as the other files in the Debug folder. Your hello world console application will now run, your should see "Hello World!" displayed. 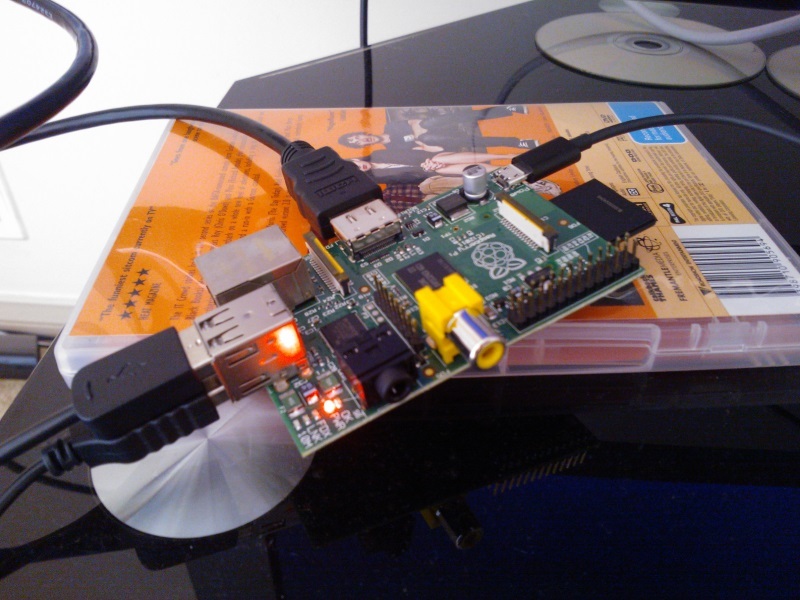 Congratulations, you've just run your first .NET C# app on a Raspberry Pi! Might have to get one of those delicious Pis myself.